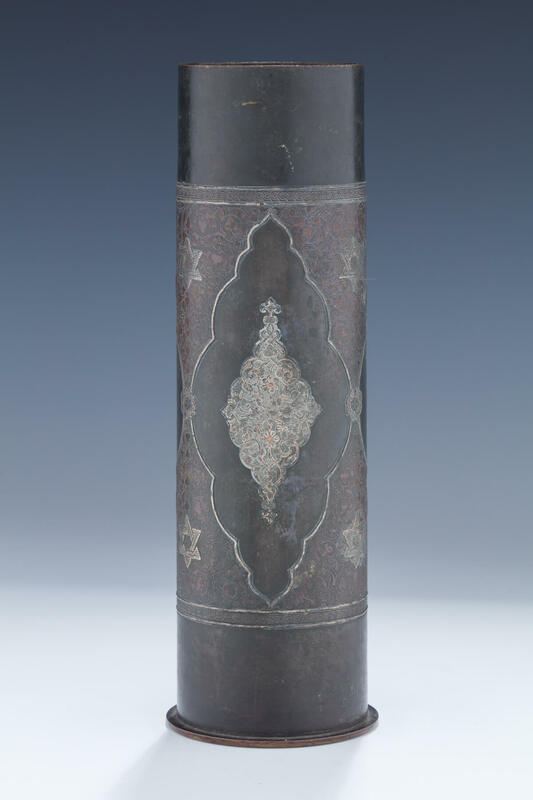 A LARGE DECORATED MORTAR SHELL BY BEZALEL. Jerusalem, c. 1917. Damascene applications of Middle Eastern design and Stars of David. Signed Bezalel and Jerusalem. 10.8” tall.